Everyone needs clean clothing, and with that need comes a demand for reliable laundromat locations. Whether in a small town or a large city, your customers will need to know that they can count on your business to be fully operational and easy to use. A small or a family owned and operated business needs to strives to deliver great service and experience through facilities, equipment and staff, in orther to differentiate from any competition. For your business, you will want for your customers to enjoy a relaxing atmosphere in a modern, spacious and clean establishment, while they have their laundry washed. You will need to provide your customers with personal space and comfort that will include plenty of seats and folding tables, study desks, television and Wi-fi. 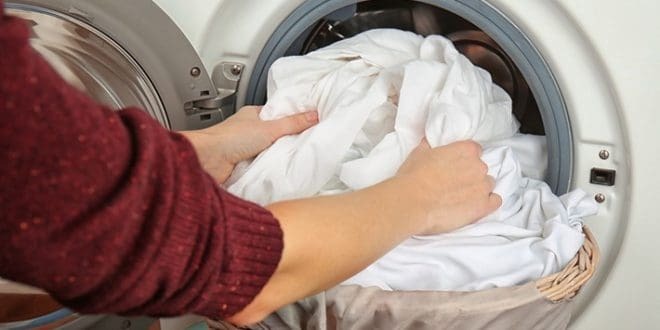 Keeping in mind the kind of atmosphere that someone might want if they are doing laundry in their own home, there are also some very basic considerations that will be key to your business’ longevity. The latest models of washing machines and dryers are designed to be more efficient and often feature customization options for each load. A surprising number of choices need to be made when considering purchasing a washing machine: starting with the steam features, deciding if it should be a top or a front load, the size of the washing machine. You need to take a look at the newest laundry tech and narrow down your options to the best currently on the market. The user can choose whether they need a delicate cycle, stain treatment or color protection. As with many conveniences, these new machines can be somewhat costly. One way to help offset your initial startup costs is to consult with commercial laundry companies, who will be able to guide you in the right direction when it comes to what equipment you will need and how to best arrange for them financially. A thoroughly cleaned facility will enhance your customers’ confidence that they will leave with their clothes as clean as they can be. Plus, doing laundry takes time, and you will want to make sure that anyone who walks through the door will feel comfortable while they attend to their clothing and other washables. Maintaining any extra amenities such as vending machines (food or detergent) and restrooms will also go a long way toward helping everyone to feel at ease. By offering amenities such as Wi-Fi, television, food and coffee, quality customer service, eco-friendly washing machines and bright and clean environment, you will set up your business for future succes and make the people that walk through your door regular customers. One of your main responsabilities is to keep your laundromat safe. Especially if your laundromat is open at night time, there are way to make your business safe and, therefor, more welcoming. Security for the building should also be a top priority. Whether you choose to utilize cameras or employ an attendant (or both), it is important that customers do not feel that they could be in danger in any way. With a little bit of initiative and research you can enhance the security of your laundromat and ensure that all your customers and employees feel safe. Installing security video surveillance is the most effective feature that will deter any potential robbers as well as discourage any thieving employees. Your customers and employees should be informed of the security cameras using signs, in order to prevent any burglary attempt. The very simple presence of a security sistem will assure customers and employees, make them feel safer and also will scare off potential criminals. In addition, you should invest in high quality locks and alarms for you business. This includes the availability of well-marked fire exits and access to emergency services if needed.